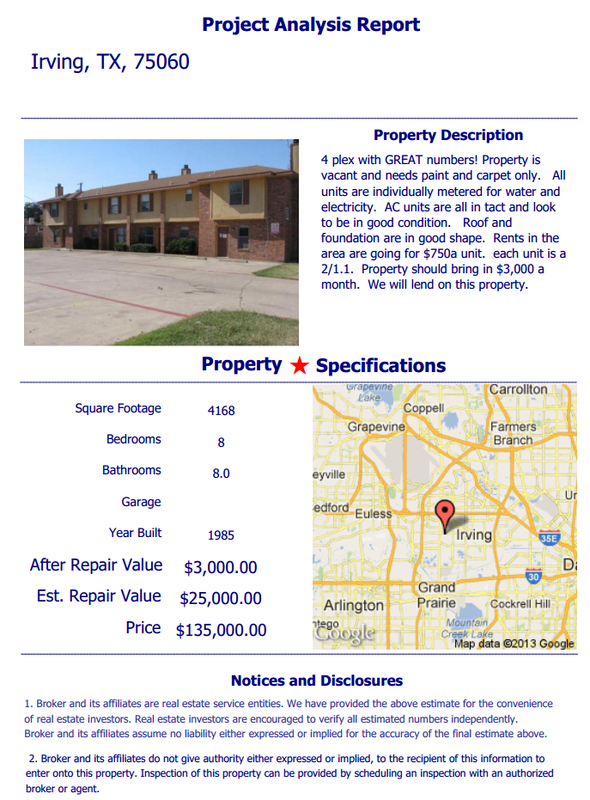 American Wholesale Property: Irving 4-Plex Available! 4 plex with GREAT numbers! 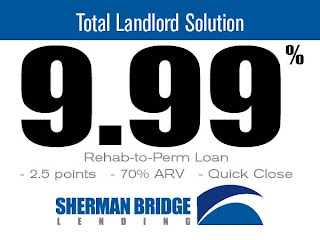 Property is vacant and needs paint and carpet only. All units are individually metered for water and electricity. AC units are all in tact and look to be in good condition. Roof and foundation are in good shape. Rents in the area are going for $750/unit. each unit is a 2/1.1. Property should bring in $3,000 a month. We will lend on this property.